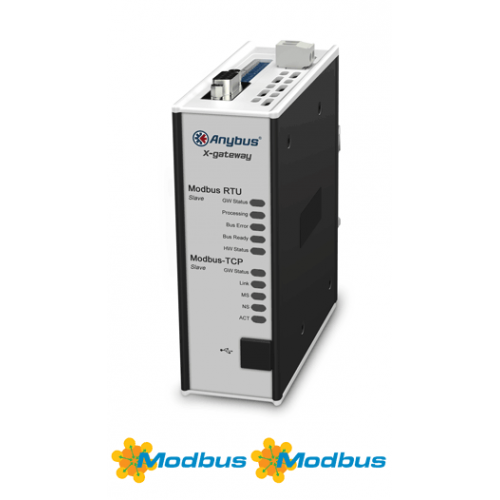 The Anybus X-gateway allows you to seamlessly inter-connect PLC control systems and their connected devices between Modbus TCP and Modbus RTU networks. The X-gateways primary function is with the fast transfer of cyclic I/O data between the two networks. This offloads your PLC from working with additional calculations. 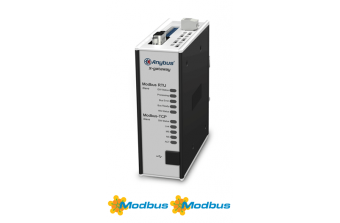 The gateway acts as a Server on the Modbus TCP network and as an Slave on the Modbus RTU network. The data transmission between the two networks is completely transparent with a maximum data capacity of 512 bytes in each direction.